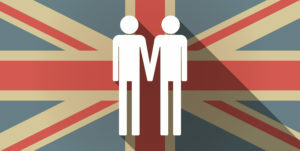 The United Kingdom decided to decriminalize homosexual behavior in 1967. The road to acceptance for LGBTQ+ people has been a long one, and the community still hasn’t reached the end of that road either. But there are a lot of landmarks along the road that are worth remembering. Many of those landmarks relate to gay men, who were among the earliest, most visible, and most outspoken members of the community. In 1967, the United Kingdom passed the Sexual Offences Act 1967 which, despite it’s name, decriminalized private homosexual acts in England and Wales. Before that, men could be, and often were, brought up on charges and found guilty of homosexual acts. In fact, such prosecutions had been on the rise when the law was presented to Parliament. It was based largely on the 1957 Wolfenden Report, which came to the conclusion that, while homosexuality was a sin, it wasn’t something that the law had any business dealing with. They argued that gay men faced enough shame for their “disability” and that the law needn’t make things worse. It wasn’t the most progressive argument, and in fact, even though the law passed, there was some concern that it would lead to more pubic debate about gay rights, and Lord Arran, who sponsored the bill, asked gay men to show thanks by keeping quiet, and not to make the people who had supported the bill regret it. Even though they couldn’t be prosecuted for their sexuality, gay men still weren’t expected to be seen or heard. The Act also set the age of consent for homosexual acts at 21, despite the heterosexual age of consent being 16. The Sexual Offences (Amendment) Act 2000 set them both to 16, so it only took another 33 years to come to grips with the fact that teenagers could be gay, too. The landmarks on the road to equality aren’t always all that cheerful, or progressive, but they’re important to remember. Even when they seem ridiculous in hindsight.